The private estate "U Yulі" is located 5 km from the center of the village and the route Volovets - Mezhgorye. 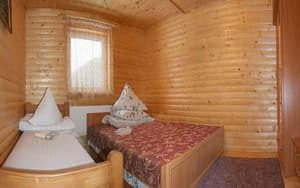 The distance to the nearest ski lift is 600 m. Guests are offered accommodation in 2 and 3-bed comfort rooms, which have all the necessary furniture. 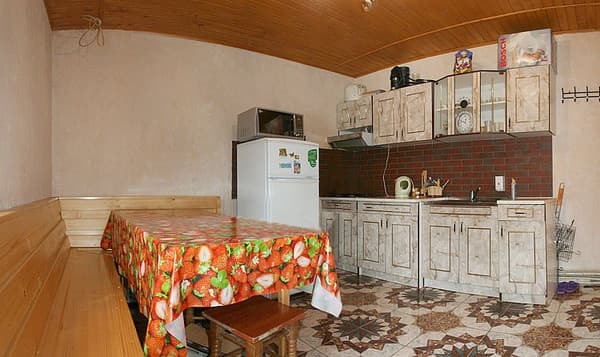 On the ground floor there is a dining room and a kitchen where you can cook your own food. For shared use on the floor - TV and refrigerator. On the territory of the private estate "U Yulі" there is a shop, a brazier and a swing for children. For an additional fee you can use the Russian bath. 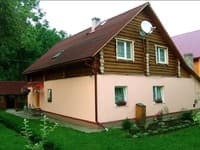 In the private estate "U Yulі" it is possible to organize excursions, hikes in the mountains, picking up mushrooms and berries, riding horses. 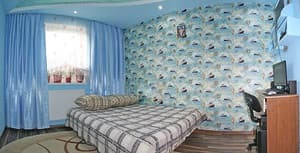 Description of the room: Cozy double room which has everything you need for a comfortable stay. The room has a double bed, TV. TV not in all rooms. Description of the room: A cozy one-room apartment with everything you need for a comfortable stay. The room can accommodate 2 people. 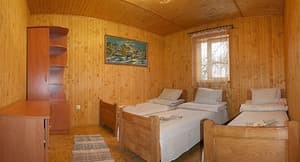 The room has a double bed or 2 single beds. Each room has a wardrobe. TV and fridge on the floor. Description of the room: A cozy one-room apartment with everything you need for a comfortable stay. The room can accommodate 3 people, there is a double bed and single, TV, wardrobe, bathroom. Separate entrance. Description of the room: A cozy one-room apartment with everything you need for a comfortable stay. The room can accommodate 3 people. There is one room with a double bed and a single bed, with 3 single beds and a room with a single and bunk bed. Each room has a wardrobe. TV and fridge on the floor. Не приветливые хозяева. Хозяйке было впадлу оторваться от косы и провести минимальную экскурсию. Еле нашли мужа который сделал это. There is an opportunity to use the kitchen and order two meals a day. On the territory of the estate there is a shop. From 30.12.16 to 20.01.17 two meals a day are included in the price. 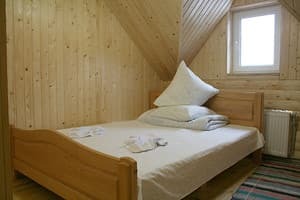 The farmstead is located 5 km from the center of the village of Pilipets, 600 m from the ski lift. Train Uzhgorod direction - to the station Volovets, then by bus or taxi. 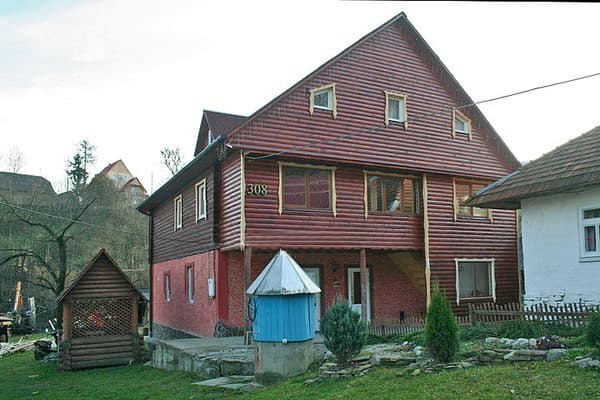 By car route Kiev - Lviv - Chop (M-06), after the village of Nizhnie Vorota turn to the village of Mezhgorye. In the village of Pilipets turn after the sign "Shipot" and drive about 5 km. The farmstead is to the left of the road.